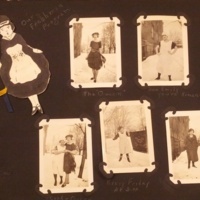 Born in 1905, Adelaide Dykhuizen and her twin sister Geraldine Dykhuizen went to Hope College in the early 1920s, forty years after the first women enrolled at the school. The twins were the nieces of Edward Daniel Dimnent, Hope College’s fifth president. Following graduation, Adelaide Dykhuizen taught at Hope Preparatory School and then E. E. Fell Junior High School. Her career spanned forty-two years. 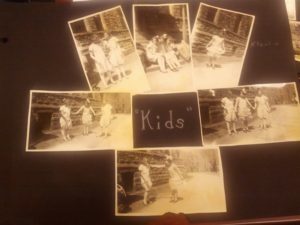 In addition to teaching, she was also an active community member and participated in organizations such as the Women’s Literary Club, the Holland Garden Club, and the Holland teachers’ organization. When appointed to Hope College’s presidency in 1919, Edward Daniel Dimnent, a bachelor, required an appropriate social presence by his side. He decided to move into the president’s house with his widowed sister, Nellie Dykhuizen and her three children, the twin girls and their younger brother Harold. Adelaide Dykhuizen was 14 years old at the time. 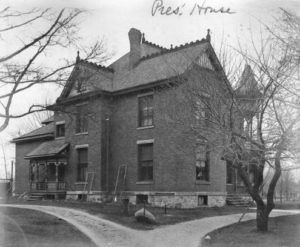 From 1919 to 1922, Dykhuizen and her family split their time between the president’s house, 92 E. 10th St. in Holland, and the Dykhuizen’s family home in Chicago. These years also marked the continuing transition into the new century and new ideas about women’s roles. The idea of the New Woman, a woman who exercised freedom in all facets of her life, grew in popularity throughout the late 1800s and early 1900s. The New Woman was a reaction to strict Victorian conventions of traditional female gender roles. As Elizabeth Cady Stanton, Susan B. Anthony, and the Grimke sisters fought nationally for woman’s rights, women throughout the nation found inspiration and strength in the leaders’ radical illustration of female power. The New Woman challenged previous ideas of a women’s place in society, of when she could speak and what she could say. As the boundary between the separate spheres deteriorated, women claimed space in the public sphere—a realm traditionally occupied by men–for themselves. World War I accelerated women’s progress. As the sweep of progression met the shock of World War I, American women won the right to vote and continued to seek new rights and opportunities. Through the 1920s, women moved toward greater personal, public, and political independence outside of the institution of marriage. Entering college and attaining higher education was first step in independence for many women. In her memory book (pictured in the gallery below), Adelaide never wrote about voting, equal wages, or a woman’s right to a career. While enrolled at Hope College, Adelaide did not challenge conventions or uphold cries for political change. However, her future leadership and passion for education indicate Adelaide’s awareness of this New Woman and what possibilities She might fulfill. 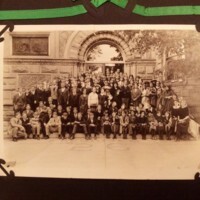 Approximately 35 women joined the primarily male (about 120 members total) Hope College class of 1926. 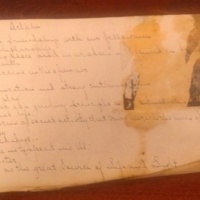 On September 22, 1922, Adelaide Dykhuizen, alongside her sister Geraldine, entered Hope as a freshman and embarked on her experience as a young woman in higher education in post–World War I society. 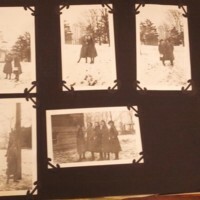 While many of the other female students lived together in Voorhees Hall, originally a female dorm, Adelaide and Geraldine Dykhuizen lived with their uncle in the president’s house. Rushing the sororities allowed them to meet other women. Adelaide Dykhuizen received invitations from the Sib, Sigma, Dorian, and Delphi sororities. 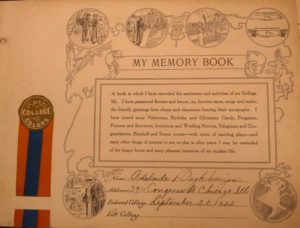 On October 27, 1922, she attended the “Delphi Society at Home” event. Three weeks later, Dykhuizen received a letter from the society. 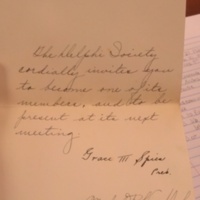 It read, “The Delphi Society cordially invites you to become one its members, and to be present at its next meeting. Grace Spies, Pres. 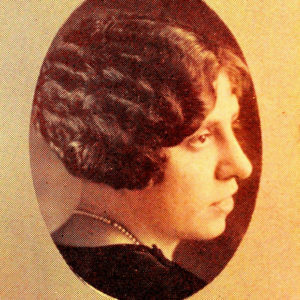 Mabel Van Dyke, Secy.” On November 18, 1922, Dykhuizen was officially invited to become a member of one of Hope College’s most desired sororities, Delta Phi. 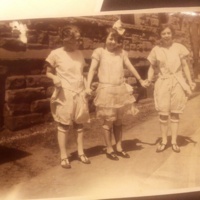 Her sister also joined the Delta Phi sorority. College publications at the time indicate a dubious opinion of the presence of Greek Life on campus. In 1916, the college catalog contained the following excerpt: “In our opinion, fraternities and chapter houses do not lend such mode of living as we desire for our students,” and the school continued to express dissatisfaction with the presence of the organizations. 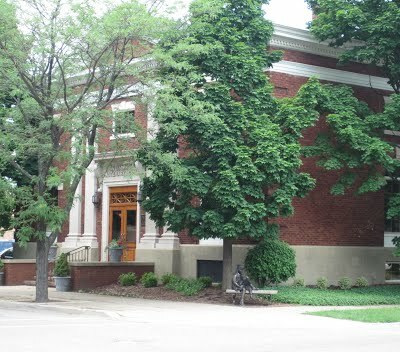 During Dykhuizen’s four years at Hope College, there were four sororities to select from: Sororsis or Sigma Sigma, Delphi, Sibylline or Sib, and Dorian. All four societies are still flourishing today. The sororities provided women with a variety of social and service events throughout the year and promoted sisterhood. 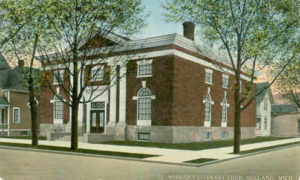 Of Dykhuizen’s graduating class of 1926, the Anchor reported on April 7, that 54 percent intended to teach after graduation. Many of these future educators were women. Dykhuizen was among the women who intended to be teachers. She graduated with her English degree on Wednesday, June 16, 1926, at 8:00 pm in Hope’s Carnegie Hall. 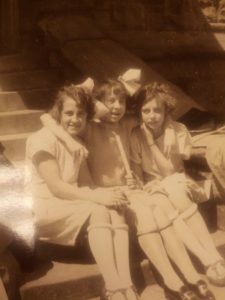 After graduating from Hope College, Adelaide Dykhuizen lived the rest of her life with her twin sister in Holland, Michigan. Adelaide embarked on a lengthy educational career after graduation, teaching school for a total of 42 years in the subjects of history, English, and French. Nine of those years were spent at Hope Preparatory School and 33 at the local E. E. Fell Junior High School. 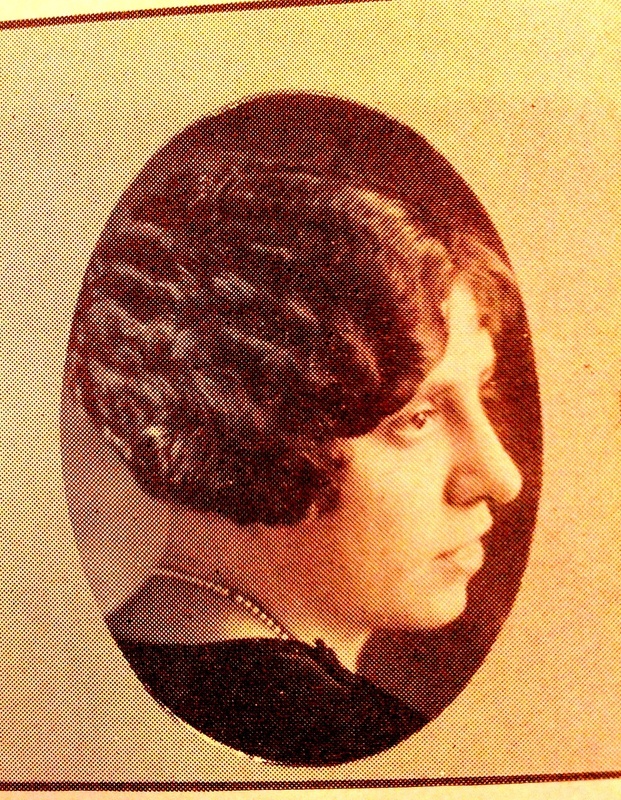 Adelaide maintained an active presence in many educational organizations later in life, serving as president of the Holland teachers’ organization, one of the first members of the Junior Welfare League, and a member of the American Association of University Women. She was also involved with the Women’s Literary Club, the League of Women Voters, the Century Club, the Holland Garden Club and the business and professional women’s chapter of the PEO (a philanthropic educational organization). Dykhuizen passed away on December 15, 1973 in Adelaide, Australia, where she was touring the country with her twin sister Geraldine Dykhuizen. Her legacy at Hope College endures today. In 1960, Adelaide, Geraldine, and their brother Harold Dykhuizen donated money to create the President’s room in Graves Hall. Adelaide Dykhuizen was a beneficiary and leader in a variety of organizations. She was one of many women who pursued higher education, an opportunity made possible by first-wave feminists. She was one of thousands of women who participated in the movement of expanding women’s education rights: an initiative that led to equal opportunity education for men and women in the United States today. 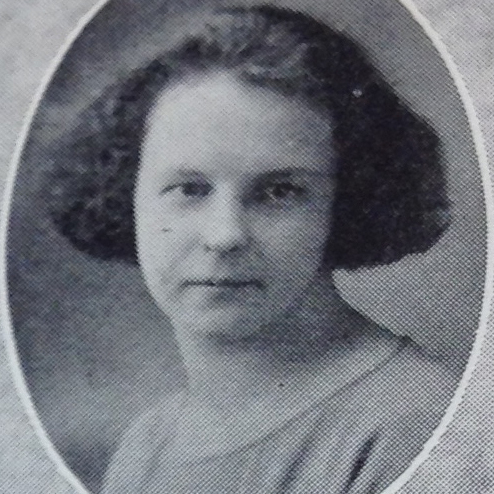 Adelaide’s Senior year, yearbook photo from Hope College Milestone 1926. The President’s House, where Adelaide lived starting in 1919. Front Page of Adelaide Dykhuizen’s Memory Book. H88-0046. Dykhuizen, Adelaide (1905-1973) and Geraldine (1905-1988). Papers, 1868-1986, Joint Archives of Holland, Hope College, Holland, MI. Smith-Rosenberg, Carroll. 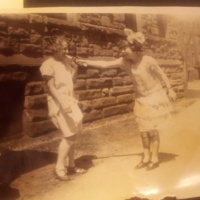 Disorderly Conduct: Visions of Gender in America. New York: Oxford UP, 1985. Stegenga, Preston J. Anchor of Hope: The History of an American Denominational Institution Hope College. Grand Rapids: William B. Eerdmans Publishing Company, 1954. Wynand Wichers. A Century of Hope 1866-1966. Grand Rapids: William B. Eerdmans Publishing Company, 1968.